The first incarnation was to redeem man from sin, to redeem him by means of the fleshly body of Jesus, that is, He saved man from the cross, but the corrupt satanic disposition still remained within man. The second incarnation is no longer to serve as a sin offering but rather to save fully those who were redeemed from sin. This is done so that those who have been forgiven may be delivered from their sins and made fully clean, and by attaining a changed disposition, break free of Satan’s influence of darkness and return before the throne of God. Only in this way can man be fully sanctified. After the Age of Law had come to an end, and beginning with the Age of Grace, God began the work of salvation, which continues until the last days when, in judging and chastising the human race for their rebelliousness, He will completely purify mankind. Only then will God conclude His work of salvation and enter into rest. Therefore, in the three stages of work, only twice did God become flesh to carry out His work among man Himself. That is because only one in the three stages of work is to guide men in leading their lives, while the other two consist of the work of salvation. Only by becoming flesh can God live alongside man, experience the suffering of the world, and live in an ordinary body of flesh. Only in this way can He supply men with the practical word that as created beings they need. It is through the incarnation of God that man receives full salvation from God, and not directly from heaven in answer to his prayers. For, man being of the flesh, he has no way of seeing the Spirit of God, much less of approaching His Spirit. All that man can come into contact with is God’s incarnate flesh, and only by means of this is man able to grasp all the words and all the truths and receive full salvation. The second incarnation will be sufficient to purge away the sins of man and to fully purify him. 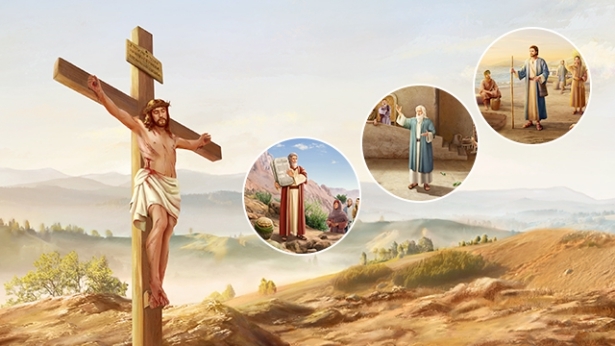 Hence, with the second incarnation, the entirety of God’s work in the flesh will be brought to a close and the significance of God’s incarnation be made complete. The first incarnate God did not complete the work of incarnation; He only completed the first step of the work that it was necessary for God to do in the flesh. So, in order to finish the work of incarnation, God has returned into the flesh once again, living out all the normality and reality of the flesh, that is, making God’s Word manifest in an entirely normal and ordinary flesh, thereby concluding the work that He left undone in the flesh. … It was Jesus’ flesh that was nailed to the cross, His flesh that He gave up as a sin offering; it was by means of a flesh with normal humanity that He defeated Satan and completely saved man from the cross. And it is as a complete flesh that the second incarnate God performs the conquering work and defeats Satan. Only a flesh that is completely normal and real can perform the conquering work in its entirety and make a forceful testimony. That is to say, the work of[a] conquering man is made effective through the reality and normality of God in the flesh, not through supernatural miracles and revelations. The ministry of this incarnate God is to speak, and thereby to conquer and perfect man; in other words, the work of the Spirit realized in the flesh, the flesh’s duty, is to speak and thereby conquer, reveal, perfect, and eliminate man completely. And so, it is in the conquering work that God’s work in the flesh will be accomplished in full. The initial redemptive work was only the beginning of the work of incarnation; the flesh who does the conquering work will complete the entire work of incarnation. 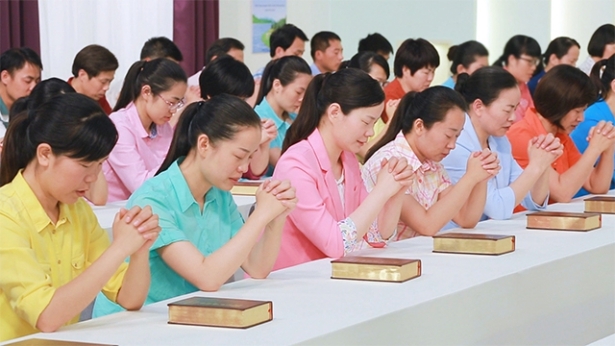 In gender, one is male and the other female; in this the meaning of God’s incarnation has been completed. It dispels man’s misconceptions of God: God can become both male and female, and the incarnate God is in essence genderless. He made both man and woman, and He does not differentiate between the genders. In this stage of the work, God does not perform signs and wonders, so that the work will achieve its results by means of words. The reason for this, moreover, is because the work of God incarnate this time is not to heal the sick and cast out demons, but to conquer man by speaking, which is to say that the native ability possessed by this incarnate flesh of God is to speak words and to conquer man, not to heal the sick and cast out demons. His work in normal humanity is not to perform miracles, not to heal the sick and cast out demons, but to speak, and so the second incarnate flesh seems to people much more normal than the first. 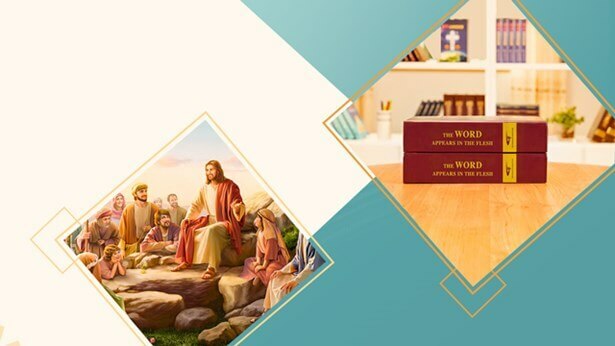 People see that God’s incarnation is no lie; but this incarnate God is different from Jesus incarnate, and though They are both God incarnate, They are not completely the same. Jesus possessed normal humanity, ordinary humanity, but He was accompanied by many signs and wonders. In this incarnate God, human eyes will see no signs or wonders, neither healing the sick nor driving out demons, nor walking on the sea, nor fasting for forty days…. He does not do the same work that Jesus did, not because His flesh is in essence any different from Jesus’, but because it is not His ministry to heal the sick and cast out demons. He does not tear down His own work, does not disturb His own work. Since He conquers man through His real words, there is no need to subdue him with miracles, and so this stage is to complete the work of incarnation. Why do I say that the meaning of incarnation was not completed in Jesus’ work? Because the Word did not entirely become flesh. What Jesus did was only one part of God’s work in the flesh; He only did the redemptive work and did not do the work of completely gaining man. For this reason God has become flesh once again in the last days. This stage of the work is also done in an ordinary flesh, done by an utterly normal human being, one whose humanity is not in the least bit transcendent. In other words, God has become a complete human being, and it is a person whose identity is that of God, a complete human being, a complete flesh, who is performing the work. To the human eye, He is just a flesh who is not transcendent at all, a very ordinary person who can speak the language of heaven, who shows no miraculous signs, works no miracles, much less exposes the inside truth about religion in great meeting halls. The work of the second incarnate flesh seems to people utterly unlike that of the first, so much so that the two seem to have nothing in common, and nothing of the first’s work can be seen this time. … The second incarnate flesh does not aim to deepen or solidify the impression of the first flesh in people’s minds, but to complement it and to perfect it, to deepen man’s knowledge of God, to break all the rules that exist in people’s hearts, and to wipe out the fallacious images of God in their hearts. It can be said that no individual stage of God’s own work can give man a complete knowledge of Him; each gives only a part, not the whole. Though God has expressed His disposition in full, because of man’s limited faculties of understanding, his knowledge of God still remains incomplete. It is impossible, using human language, to convey the entirety of God’s disposition; how much less can a single stage of His work fully express God? He works in the flesh under the cover of His normal humanity, and one can only know Him by the expressions of His divinity, not by His bodily shell. God comes into the flesh to allow man to know Him by means of His various work, and no two stages of His work are alike. Only in this way can man have a full knowledge of God’s work in the flesh, not confined to one single facet. Jesus did a stage of work which only fulfilled the substance of “the Word was with God”: The truth of God was with God, and the Spirit of God was with the flesh and was inseparable from Him, that is, the flesh of God incarnate was with the Spirit of God, which is greater proof that Jesus incarnate was the first incarnation of God. This stage of work fulfilled the inner meaning of “the Word becomes flesh,” lent deeper meaning to “the Word was with God, and the Word was God,” and allows you to firmly believe the words that “In the beginning was the Word.” Which is to say, at the time of creation God was possessed of words, His words were with Him and inseparable from Him, and the final age makes even clearer the power and authority of His words, and allows man to see all of His words—to hear all of His words. Such is the work of the final age. You must come to know these things through and through. It is not a question of knowing the flesh, but of knowing the flesh and the Word. This is that to which you must bear witness, that which everyone must know. Because this is the work of the second incarnation—and the last time that God becomes flesh—it fully completes the significance of the incarnation, thoroughly carries out and issues forth all of God’s work in the flesh, and brings to an end the era of God’s being in the flesh. You must understand that it has been through God’s two incarnations that He has done His entire work of saving man. 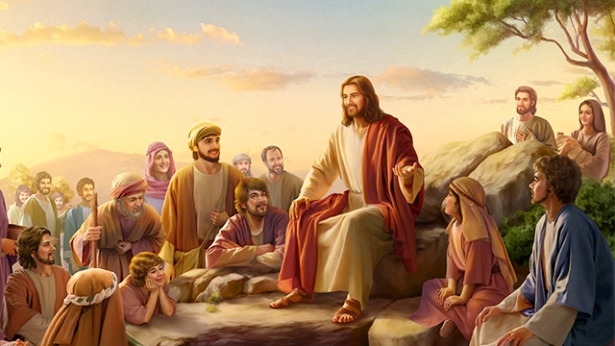 If there had only been the first incarnation, then mankind could not be wholly saved because that incarnation only resolved the problem of absolving man’s sins, and could not resolve the problem of man’s corrupt disposition. If the second incarnation could only achieve the conquest of man and resolve man’s corrupt disposition, then it would not resolve the problem of having man belong wholly to God. Only by His second incarnation also experiencing the pain of the world can those parts of man that have been corrupted by Satan be resolved. This utterly resolves the problem of man’s suffering and torment from its root. These are the steps of work of the two incarnations, and neither is dispensable.